It’s that time of year again when women all over the country tear out their hair trying to think of a suitable present for their menfolk aka The Species Most Impossible To Buy For. Or at least, I do. I find buying gifts for my own husband hard enough, but for my own Pops it’s even tougher, as an older gentleman presents the added obstacle of having had so many more years to dramatically narrow down your present-buying options, gathering possessions, acquiring all the tools/gadgets/gardening equipment that they could possibly need and binge-buying items for (often transient) hobbies in that endearing but frenzied way men do. 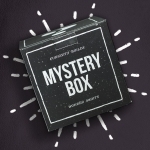 So I thought I’d do a little feature on Father’s Day gifts – hopefully to help out any other ladies out there scratching their heads (or to help the dudes think of cool suggestions to hint at & help the process!) and also to do some much-needed research for myself! I’m going to split this feature into two parts: the first one, this one, 20 gifts to buy for under £50 (I’m not suggesting people shouldn’t spend more than that if they have the resources and inclination, I just wanted to make affordable suggestions that reflect my own limits and hopefully suit most budgets!) 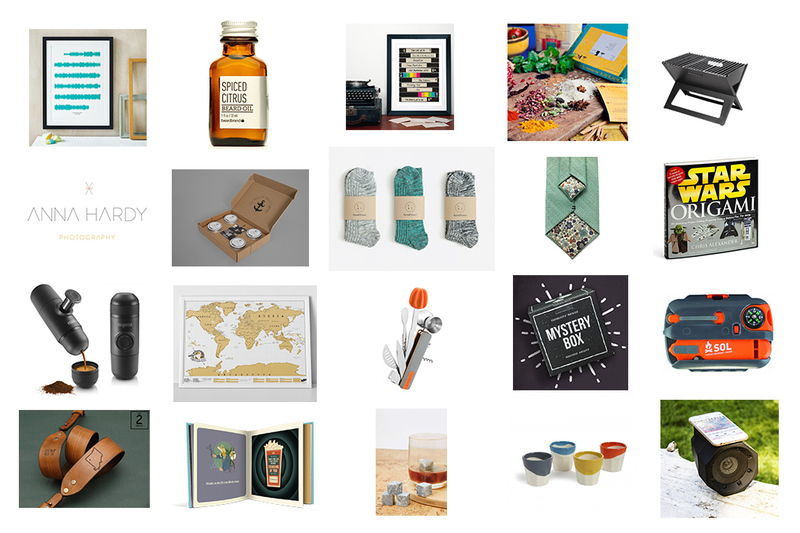 and the second one, coming next week, 20 thoughtful gifts that don’t cost anything at all. 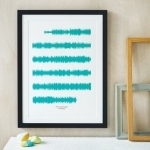 I bought one of these for Adam for our first (paper) wedding anniversary – I went for teal soundwaves on a white background, of Everywhere by Fleetwood Mac (the first dance at our wedding). He loved it and so do I – highly recommended! You can choose whatever song you like, just something that is meaningful in some way to the dad in question! The print comes unframed but fits perfectly and looks great in an inexpensive RIBBA frame from IKEA. Another past present for Adam, this nifty little speaker doesn’t need any cables at all, not even any WiFi or Bluetooth – you literally just sit your phone or MP3 player on top of it and it amplifies it. 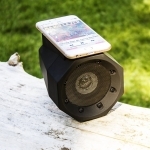 The sound is great and it’s perfect for listening to your favourite music when you’re out in the garden, camping or on a little trip away with your buddies. 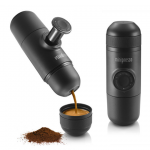 A nifty little gadget for coffee fans (and what man doesn’t love a gadget? ), particularly outdoorsy ones! 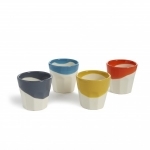 Gorgeous hand-dipped cups, these also come in a different colourway if you prefer more muted colours. I bought some of these for my coffee-nut brother as a Christmas present and they looked ace. My friend Matt has a splendid beard, and after I saw him last I ended up being really creepy and messaging him to ask what he had put on his beard as it smelled absolutely incredible and I wanted to possibly get some for Adam! So here it is, hope you don’t mind me sharing your beard secret Matt! 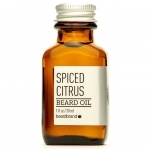 So after genning up on beards it transpires that beard balm and beard oil are very similar and both can be used on any face fuzz, but beard balm has more ‘hold’ and is ideal for taming longer, more unruly specimens. Therein lies the extent of my beard knowledge. I bought one of these for Adam as he loves maps, and I was also bought one for myself by my friend Debbie, so we keep them in our respective offices! They are brill! 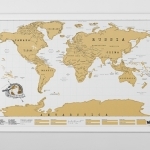 A map of the world and you scratch off the gold foil (just like a scratch card) wherever you’ve visited in the world to reveal colour, information and details underneath. In the words of the manufacturers, “In one product that fits in the palm of your hand, the Origin gives you the collection of tools you need to survive the unexpected and make it back alive. 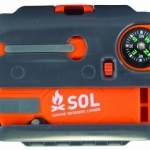 Think of it as the ultimate cross breed of the traditional ten essentials and a survival kit, all wrapped up in one lightweight, easy to carry, indestructible package.” Basically, if your guy fancies himself as Bear Grylls he’ll love this. 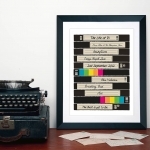 A great little gift that you can personalise to the man in question; particularly ace if he, like me, remembers well the days of VHS cassettes stacked up like this. 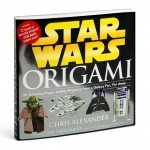 I bought this for my brother a while ago – perfect for Star Wars fans (from my own experience you’d be hard pushed to find a male film fan who doesn’t love Star Wars) and even better if they have crafty/creative tendencies… or just like pointlessly fiddling with stuff (i.e. most men). 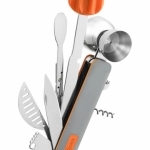 I bought this for my buddy and it’s great for any man who likes a gadget and a drink, and fancies himself as Tom Cruise (in his pre-creepy, Cocktail days). 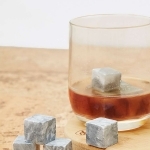 They keep dad’s drink cool without diluting it, they’re reusable and they look ace. It’s nice to get rid of the generic camera strap that comes with a camera, and this one’s lovely, completely hand-made and can be personalised as well with initials, a name or even the shape of a county or country. 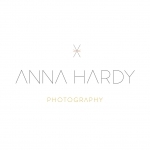 A shameless plug for my own services here, but if you can’t do some cheeky self-promotion on your own blog then I don’t know where you can! 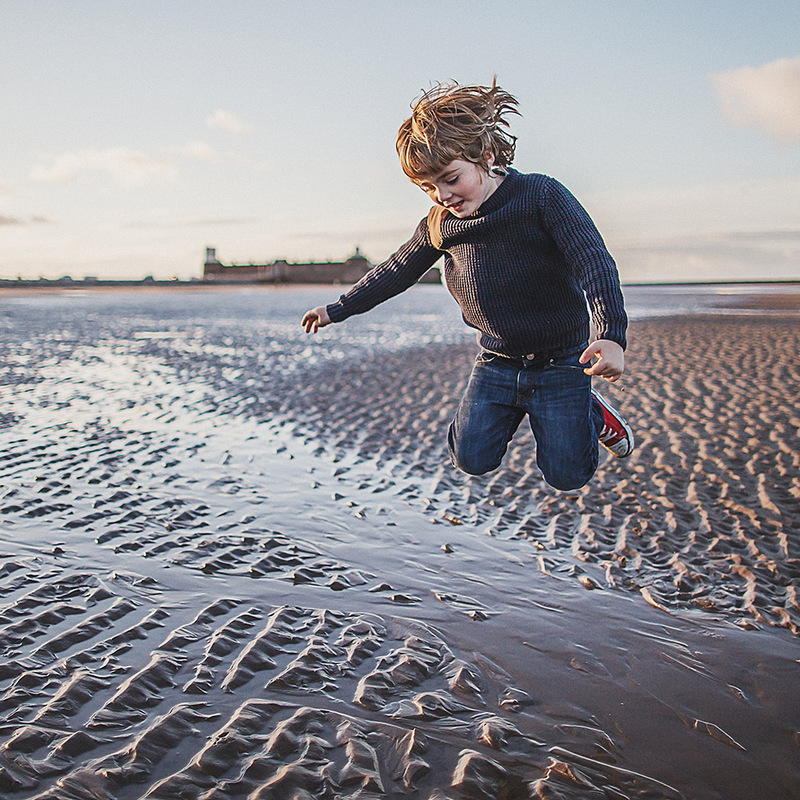 I’ve got a special offer on for Father’s Day at the moment so you can treat those lovely dads to some special pictures of their very own family. We have one of these in our campervan and it’s ace. 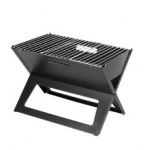 Folds down completely flat & takes up hardly any space, plus it’s a decent sized grill considering how small the entire thing is. What bloke doesn’t love tending to a barbeque (i.e. occasionally monitoring it between bottles of beer) and with this he can transport his manly fire-making, food-generating skills outside the home wherever he goes. 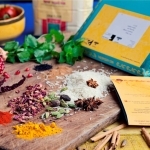 What bloke doesn’t love curry (and what woman for that matter); each month he’s sent a different set of fresh spices and recipes to make a different dish each time from a range of different curries from all over the world. This includes making not just the curries but also chutneys, salads, rice dishes and breads. The subscription is also available in 3 months for £20 and 12 months for £80. Lovely gift for aspiring chefs or competent ones looking to expand their curry-making repertoire. Socks may be sneered at for being a traditionally ‘boring’ present, but my friend Matt (not beard-Matt, a different sock-Matt!) says there is nothing nicer than the feel of a brand new pair of socks and that if he was rich he’d have a new pair every day. 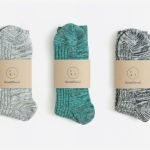 I’m pretty sure he’d go nuts over these beautiful ones from Form & Thread. 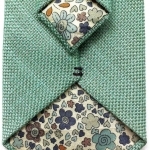 A good tie is hard to find, but these beautiful ties by Kate Temple are lovely. Every item is hand-stitched, cut and measured, sourced from British manufacturers and completely unique. This is really lovely. 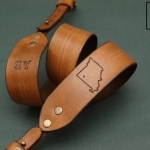 I’ve had one made for both my own dad and also for Adam from Huey. 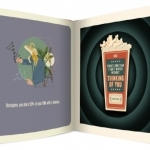 It’s a personalised book full of interesting facts about various aspects of that individual, and really lovely graphic design. It doesn’t take too long to make but contains lots of fun information about the dad in question and is surprisingly varied in its customisation considering how relatively little time it takes to set it up. Both of them really liked it and I had loads of fun putting them together. A great option for when inspiration is spent. Who doesn’t love a surprise? Anyhow, wishing all the Popses out there a very happy Father’s Day, and I hope this has been helpful! What great Father’s Day presents have you come across? I’d love to hear some more suggestions!